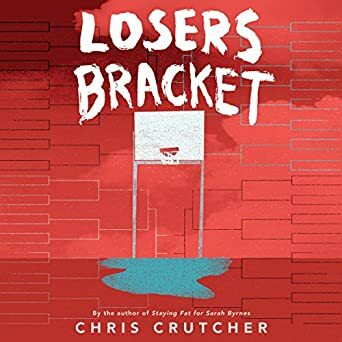 Losers Bracket is about a 17-year-old girl Annie with a drug-using seriously overweight mother Nancy and an absent father. She has an older sister Sheila who is already a mother to 5-year-old Frankie who is always getting into fights and paints the bathroom and bedroom with his poop when he gets stressed. Annie is a fast-talking girl with anger issues who is not inclined to do what she is told or to tell the truth when it is not convenient to her. She gets into trouble pretty often but people realize that her life is no picnic. Annie lives with a foster family and her foster father, Pop Howard, says she should not see her mother, but Annie often finds a way to meet up with her, even though they end up arguing. Annie narrates most of the novel, but we also see reported conversation from her therapy sessions where she talks about her problems with the therapist she has seen since she was a young girl. We see Annie's problems from her point of view, and she explains them well. She very into sports, doing basketball, and also swimming. She has good friendship with her teammates but she has a hard time trusting people. She is constantly butting heads with Pop who gives her strict rules that she breaks. Chris Crutcher has written a striking YA novel that brings up serious issues. We learn early on that Nancy's behavior is erratic, but it only becomes clear near the end exactly how self-destructive she can be. It's quite disturbing. The unabridged audiobook is performed by Tara Sands who gives Annie plenty of character and energy. There's a large cast of characters and the book is a bit confusing, but it brings out the many ways in which dysfunctional families can be really messed up. It does well at showing how love can persist through irresponsible behavior.